Andrea Bocelli will return once again to his hometown of Lajatico, Tuscany to perform a special show at his Teatro del Silenzio on 25th & 27th July 2019. The 14th edition is called Ali di libertà (‘wings of freedom’), and will be a poetic interpretation of that most ancient of human aspirations; flight. Taken from the title of one of the songs from the tenor’s latest album Sì, the show also draws inspiration from the 500th anniversary of Leonardo da Vinci and the desire to overcome earthly limits. The organisers promise it will be a spectacular multi-sensory experience that will "reinvent opera by offering the greatest composers, the most beloved arias and the most popular classics, all presented within an innovative format". The Italian tenor will be joined by acclaimed international stars of bel canto. This edition is the most ambitious show yet, an unprecedented challenge for the Teatro del Silenzio, and the first to be immortalised by television cameras. 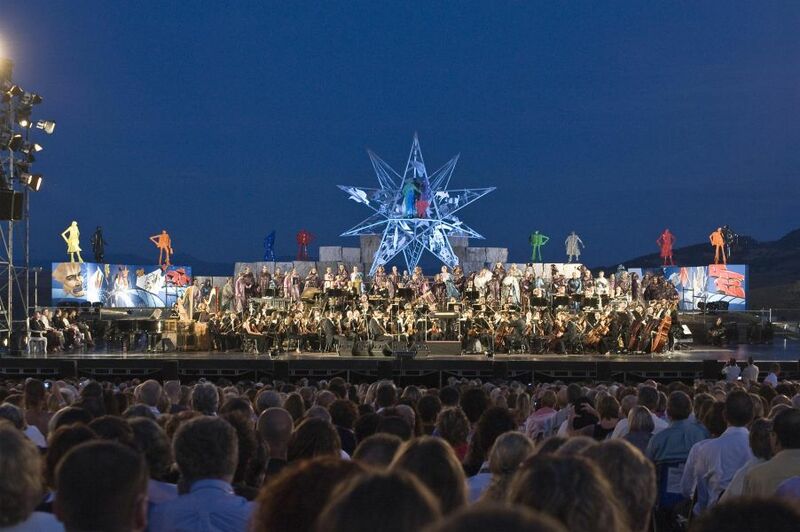 An open-air venue, the Teatro del Silenzio is unique in that it lives up to its name by staying silent the rest of the year - Bocelli is the only performer to play there. In fact it is the tenor himself who decides on the content of the show, some years choosing to perform a full opera like 2018's performance of Andrea Chernier by Umberto Giordano, and other years performing a selection of arias and his own songs. There is usually a strong operatic theme however, with Bocelli returning to his roots and the music that has influenced him over his long career. The concert is a great opportunity to discover Tuscany (as if you need an excuse), from its famous cities to its beautiful countryside. In fact many people like to stay on after the concert for an extra night or two, or else add on a stay in Florence, Siena or Lucca (near Pisa) or on the coast. The easiest way to do this is to hire a car, it can be hard work getting from place to place via public transport. If you like the sound of all this, check out our ticket & accommodation packages, which include 2 nights' accommodation, tickets for the concert and transfers to/from the venue. Hurry as tickets are selling fast! Since the release of his new album, which has topped the album charts in the US, Bocelli has gained even more fans, thanks to his collaborations with pop artists like Ed Sheeran and Dua Lipa. Bocelli's mixing of genres is often referred to as Pop-Opera, or 'popera'. Crossover acts like Andrea Bocelli, Katherine Jenkins and Il Divo mix classical with contemporary and come up with a unique sub-genre that attracts many converts and has proved very successful at promoting opera to new audiences. If you can't make it to Tuscany in July, then he will be performing in Taormina, Sicily on 30th August - contact us for details and prices.